It brings the long term use of Gleevec to light and sheds insight into possible heart problems; the more information that we, as CML patients have, the better armed we are, in fighting our disease! OTTAWA — Patients who take one form of long-term chemotherapy pill should have regular heart monitoring in case the drug causes side effects, a University of Ottawa study recommends. The drug imatinib “is toxic to the heart and causes overt damage to older hearts,” says a team led by Mona Nemer, a geneticist and vice-president of research at the University of Ottawa. Her team is not recommending that doctors stop using the drug. But she said patients may need treatment to avoid heart trouble. Imatinib is widely known by the brand name Gleevec. 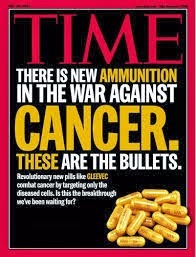 Approved in 2001, it was the first drug to “switch off” cancer cells while keeping healthy cells intact. “It’s actually very effective against cancer. So the idea is not to stop treating patients with this. It’s to make sure there is cardiac monitoring that is taking place,” she said. 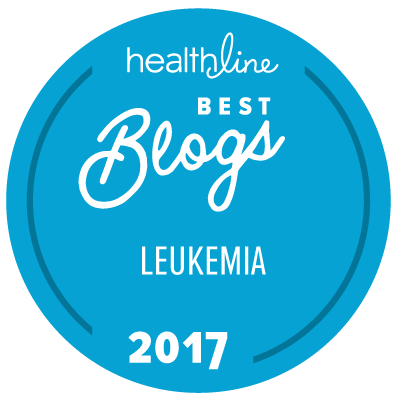 Imatinib was first used only for chronic myelogenous leukemia, but has expanded to use in prostate, lung and gastrointestinal cancers. Ironically it was the success of imatinib that led to understanding of its problems, Nemer said. That’s because the heart trouble only shows up in people who survive cancer in the long term. The study by Canadian and French scientists was done in mice. Human studies are likely to follow, because the researchers need details of how people are affected. “It’s unclear” whether a person who has heart trouble can safely stop taking the drug, she said. Nemer’s group learned that imatinib interferes with a protein that the heart needs to keep its muscle cells alive. If these muscle cells die it can lead eventually to heart failure. The effects are greatest in older patients. The Ottawa Hospital has had a special program in cardiac oncology since 2008 specifically to deal with the effects of chemotherapy on patients’ hearts. The study has been published in the European Journal of Heart Failure and funded by the Canadian Institutes of Health Research.